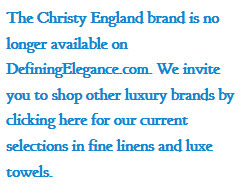 Christy England Rocco Bedding - Swatches may be available. 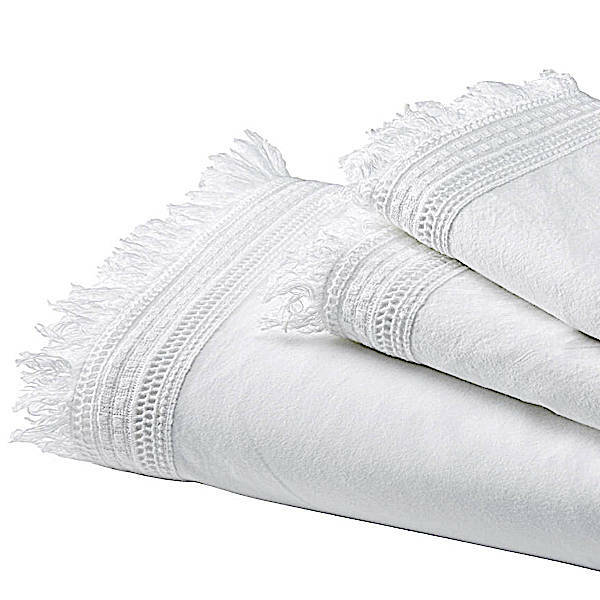 This unique and beautiful design features a fringe trim on stonewashed cotton for a look that is relaxed and seriously stylish. 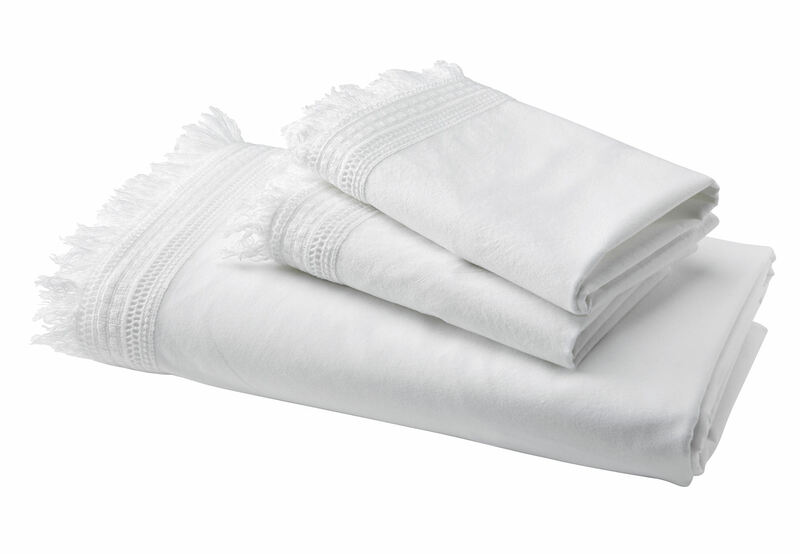 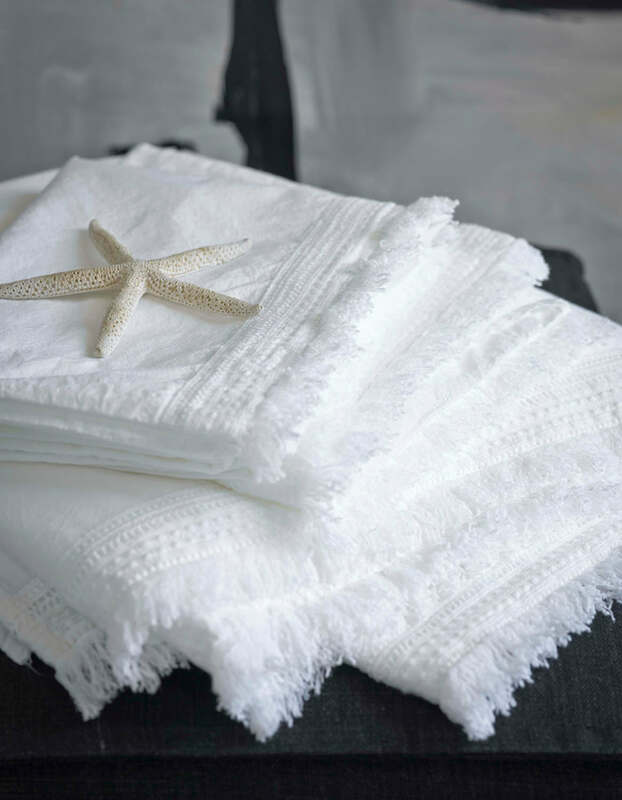 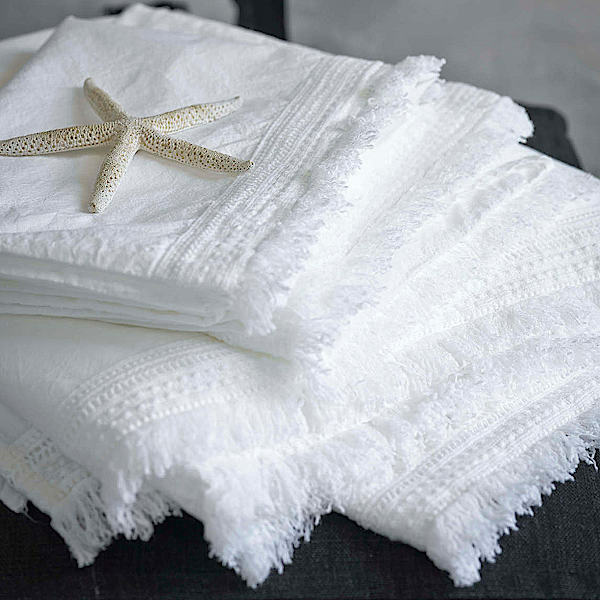 200 Thread Count 100% stonewashed cotton percale with embroidered crocheted trim edge.